The fantastic 21ft long creation will wow show-goers as part of the display of more than 500 amazing hot rods and custom cars and bikes, demonstrating the creativity and technical know-how at the heart of the customised scene. Just like Batman’s silver-screen transport, this British-built homage to the superhero shoots flames from its exhaust and features huge bat-like wings on its roof. 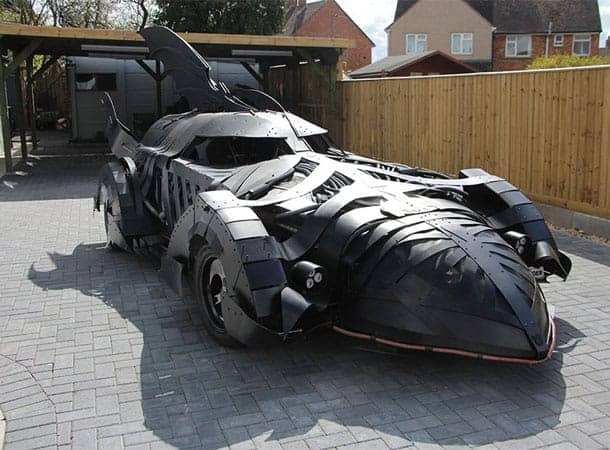 Inspired by the Batmobile from the 1995 Batman Forever film, the car was built from scratch by Mark Enright of Podpadstudios in Wiltshire, using all manner of parts. There is more than a hint of steampunk style and retro futurism to this car’s unique design. Mark said: “It is a true custom car and I built it using whatever I could get my hands on. Hot Rod & Custom Drive-In Day is held in association with classic American car club the Solent Renegades in the grounds of the National Motor Museum. Experience the sights, sounds and smells of these imaginative creations, from stripped-out hot rods and mega-powered monsters to cool customs and ‘slammed’ cruisers.